Sign posts and supports play a critical role in maintaining driver and pedestrian safety. Even the best signage does little good if it is not visible, which means it must be properly supported and maintained. This is especially important during the winter months, when snow storms, plows and traffic accidents can result in an increased number of downed or damaged signs. The Manual on Uniform Traffic Control Devices, known as the MUTCD, contains national standards for design, application, placement, and support provisions for all traffic control devices. This includes the various types of sign bases and supports that are most commonly used. Published by the Federal Highway Administration, the guide is intended to help local maintenance workers ensure their agency's signs are installed and maintained to meet the safety needs of road users. It covers sign types, materials, and supports, as well as sign installation and management including preventive maintenance, repair, and replacement. Wood and steel are the two primary materials used for small sign supports. When it comes to installing or replacing road signs, U-channel steel sign posts are undoubtedly the premium choice for sign supports. Versatility, durability, and affordability are just a few of the reasons why U-channel posts have long been one of the most popular choices for displaying various traffic, roadway, directional, street name, and property signs. U-channel posts are specifically designed to withstand rough use and weathering and installation is quick and easy. 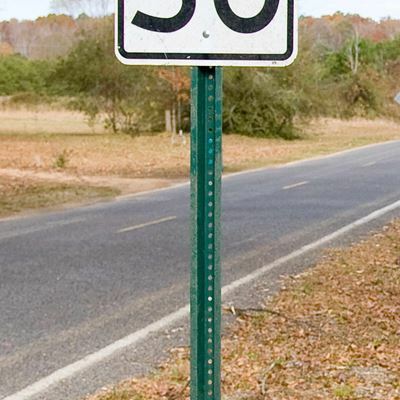 At Traffic Safety Direct, our pre-drilled steel U-Channel Sign Posts provide years of maintenance-free service and are a municipality favorite. Posts are pre-drilled to match up exactly with standard sign sizes and are available in both Green Powder Coated and Galvanized Silver. Both treatments will outlast regular paint and offer added protection against rust and elements. In addition to their low cost and simple construction, U-channel posts are highly versatile and come in a range of lengths and weights. Lengths generally range from 3 to 12 feet (3’ posts are typically used as stub posts, which can be spliced together with 8’ or longer posts for larger sign installations). We offer two weight options: a light-weight 1.12 lbs. per foot 6’ green post for smaller signs or temporary applications; and a heavier 2 lbs. per foot post in several lengths that can sustain more load and impact. All of our U-channel posts have tapered ends that dig easily into the ground and can be installed using conventional tools. The unique “U-channel” design of these sign posts creates a wide support area for signs to rest on, which makes them ideal for displaying multiple sign types and sizes. With perforated holes the full length of the post, signs can be mounted at any height and sign installation is simple. Consult the MUTCD for details on required traffic sign and post sizes, as well as guidelines for placement height and location. From standard construction and traffic signs, many of which are MUTCD compliant, to custom parking and event signage, Traffic Safety Direct carries only the highest quality signs made with the best materials available, including high-grade aluminum and a choice of Engineer, Hi-Intensity and Diamond Grade reflective sheeting. Sign post design and materials are important from both a long-term maintenance and driver safety perspective. Often there are no barriers to shield road signs from vehicle traffic, and a sign support post can become a deadly hazard when struck by a vehicle, even on local roads. 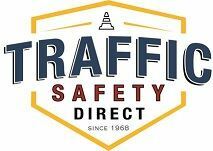 Traffic Safety Direct sources all of our metal sign posts exclusively from top manufacturers that are dedicated to maintaining standards for producing high quality sign posts and hardware. We are committed to ensuring that MUTCD guidelines for materials, size, and color are adhered to where necessary to fully comply with federal regulations. Whether you are replacing, repairing, or installing new street signs, Traffic Safety Direct has your sign and u-channel sign post needs covered. We offer a wide selection at great prices, so call or email us today! Will Tariffs on Steel and Aluminum Result in Higher Prices?